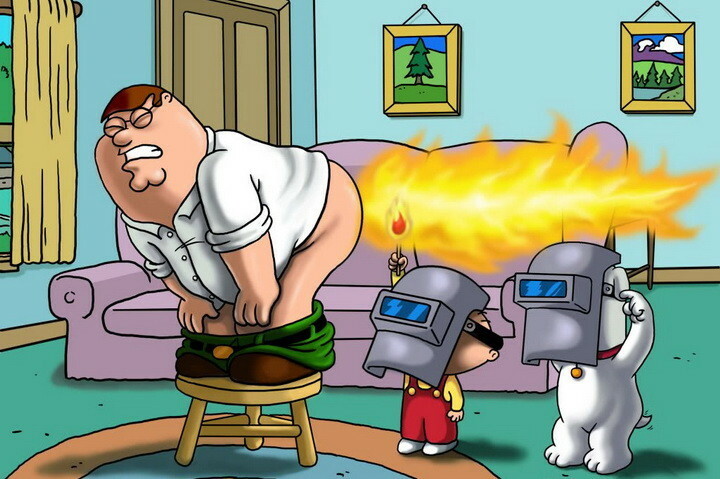 Farting is a natural phenomenon and among the facts of farting, one states that you should never suppress a fart. As one knows it is the buildup of gas in the body that causes one to fart, yet somehow, farting has become a slur of social etiquette and frowned upon as unsightly behavior. So what’s the problem n farting?? It’s good for you. 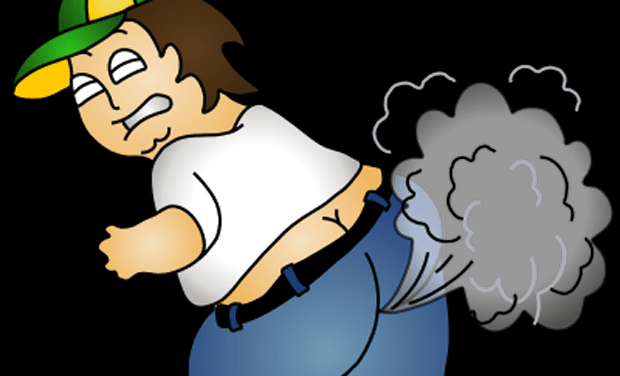 There is a lot about farting that people don’t know besides it being a healthy body function. So what’s in a fart? WheeBuzz brings to you ten facts about farting. 1. How did the fart get its name? Farting comes from the word flatulence which has its origins in Latin. “Flatus” is a Latin word which means “blowing wind”. There is even a science of flatulence where the study of the subject is termed Flatology. 2. How does it happen? Well, this is common knowledge to know that farting is produced by gas build up in the abdomen. Our bodies contain various gases produced by chemical processes and the food we eat. Nitrogen and oxygen are the two major gases produced in the human body. Besides these, there is also the accumulation of carbon dioxide, hydrogen and methane from food. Well, that’s true for certain, eating some horrible stinking exotic food and you are liable to produce those silencers that stink like hell. Invariably loud farts don’t smell as much as little stinky bombs whose odors can travel the length of a room. Foods like meat and eggs containing sulfur can produce smelly farts. This isn’t to sound sexist but it’s true, a study found that the farts produced by women smell infinitely worse than a man’s. It was found that female flatulence produced more odors because of the higher amount of hyrdogen sulphide in women’s bodies. Have you ever wondered what the composition of a fart is?? Well here goes and this is according to Fart.com. 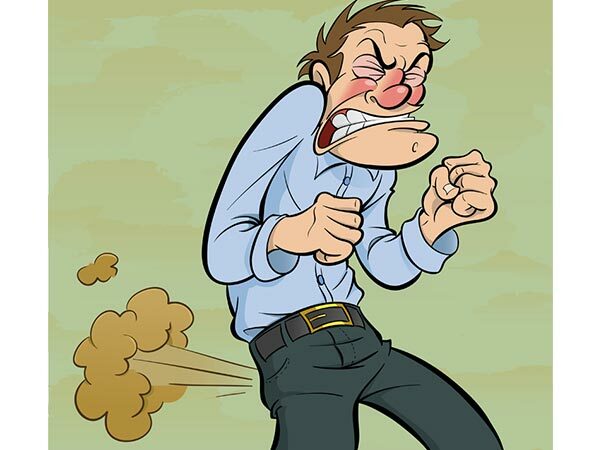 High carb foods usually cause excess farting because of gas buildup like cabbage, beans, soy, nuts, artichokes etc. To prevent farting, one would have to consume more of refined sugars and that would be a very unhealthy prospect for the body. By farting, you release all the pent up gas in your system. When you feel bloated try farting which provides relief. Now how can a fart regulate diet? When oyu fart it is actually a sign of a balanced diet. But eating too much red meat may make your farts smelly and eating excess carbohydrate make sounders with no odor. Abdominal pain is also caused by intestinal distension or bloating. Farting relieves the pain. To help you fart or to reduce bloating, give yourself a tummy massage to facilitate the smooth flow of gas through the digestive system. This helps you to fart. The average man farts almost 14-22 times a day and if you think that’s too much, then don’t be as it is good to fart that much and release pent up gas. Moreover, there is never such anything as farting too much as because if your body needs to expend it, it will. Suppressing a fart isn’t a healthy thing to do. It can release the gases back up into your system and moreover, it can result in hemorrhoid inflammation. Suppressing farts is very bad for colon health, but farting leads to good colon health. So! If you need to fart, just fart.